Considering all the questions that our friends and consumers ask us about whether goat cheese has lactose, we decided to dedicate this article to explain the 4 keys that you must take into account about the relationship between goat cheese and lactose. 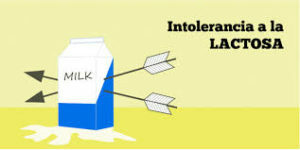 The first thing we want to clarify is that it is not the same to have lactose intolerance than to be allergic to milk. According to the AECOSAN (Spanish Agency for Consumer Affairs, Food Safety and Nutrition (http://www.aecosan.msssi.gob.es), milk allergy is caused by milk protein, called casein (lactoglobulin and lactalbumin) ). This usually manifests cutaneously, but also digestive, in the form of vomiting and diarrhea. However, lactose is a sugar contained in milk, not a protein, and its intolerance is due to the inability of our immune system to assimilate it correctly. Its symptoms are nausea and abdominal pain. That is why an allergic to milk (protein casein) can not consume milk without lactose, and yet the lactose intolerant can take it. 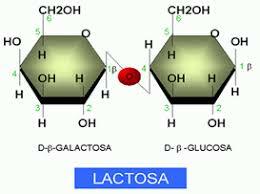 As we said, lactose is a sugar, composed of glucose and galactose, present in all milk of mammalian animals. The organism assimilates it thanks to the generation in the intestine of the enzyme lactase. It is in the cases in which this is not generated properly when intolerances appear. It is also significant that the lactase generation capacity decreases with age, the occurrence of intolerance being common in older people. Does goat milk have less lactose? As in the milk of other mammals, lactose is the main carbohydrate in goat’s milk, although in smaller quantities. Thus, as indicated by ADILAC (Association of lactose intolerant of Spain (https://lactosa.org), it is observed that while human milk tine 7g / 100ml lactose, milk cow and sheep 5g / ml and yet the lactose in goat’s milk is only 4.4g / ml. How to make goat cheese without lactose? One of the most common ways to make goat cheese without lactose, is adding milk directly to the lactase in the manufacturing process to eliminate lactose. In this way, when the goat cheese reaches our intestine it does so without lactose, so in the case of people with intolerance that do not generate lactase it is not a problem.